East Meadow, NY – November 3, 2016 – Hibu Inc. today announced its participation in this year’s Small Business Saturday, taking place on November 26th. Small Business Saturday is a day dedicated to supporting local small businesses and strengthening and celebrating communities across the country. Hibu will be promoting Small Business Saturday on the Hibu website, Hibu blog and in email campaigns encouraging Hibu clients to be part of the initiative. Created by American Express in 2010, Small Business Saturday serves as the ceremonial kickoff to the holiday shopping season for small businesses across the United States. In 2015, 95 million consumers shopped at small businesses on Small Business Saturday and spent an estimated $16.2 billion at independent retailers and restaurants on the day, according to the 2015 Small Business Saturday Consumer Insights Survey. Hibu recognizes the importance of supporting small businesses, the jobs they help create, and the culture they instill in local communities. According to the U.S. Small Businesses Administration, as of 2014, small businesses nationwide accounted for 63% of net new private-sector jobs created and represented 99.7% of firms with paid employees. Hibu Inc. is a leading provider of digital marketing solutions to local businesses across the US. Through a comprehensive portfolio of services including digital listings management, website development and management, search engine marketing and optimization, online and mobile display, social campaign creation and management, and directories, Hibu helps businesses compete and succeed online. Providing one-on-one service, expertise and transparency, Hibu has simplified the digital marketing process allowing clients to partner with a single marketing services provider to achieve their marketing objectives– saving them time, frustration and money. 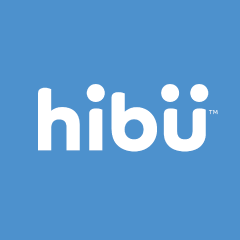 Hibu is a Facebook Marketing Partner, Google Premier Partner, Yahoo.